Thank you for visiting my art. This is an original still life watercolor painting. It is painted in the realist tradition. 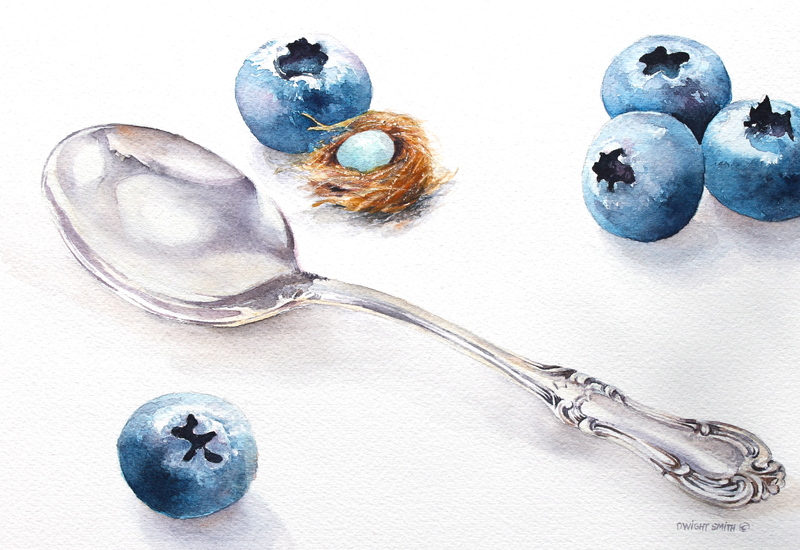 The silverware is the main subject of this watercolor and the color blue is the theme. Life abounds. Live to the full.